A thriller like you've never read one before, from the hottest new voice in Korean fiction 'Kill Bill meets Murakami' D. B. John, author of Star of the North'A work of literary genius' Karen Dionne, internationally bestselling author of Home'A truly incredible and unique thriller' Khurrum Rahman, author of East of Hounslow'I loved it!' M. W. Craven, author of The Puppet Show'You'll be laughing out loud every five minutes' You-jeong Jeong, author of The Good Son'A mash-up of Tarantino and Camus set in contemporary Seoul' Louisa Luna, author of Two Girls Down'An incredible cast of characters' Le monde'Smart but lightning fast' Brian Evenson, author of Last Days Plotters are just pawns like us. A request comes in and they draw up the plans. There's someone above them who tells them what to do. And above that person is another plotter telling them what to do. You think that if you go up there with a knife and stab the person at the very top, that'll fix everything. But no-one's there. It's just an empty chair. Reseng was raised by cantankerous Old Raccoon in the Library of Dogs. To anyone asking, it's just an ordinary library. 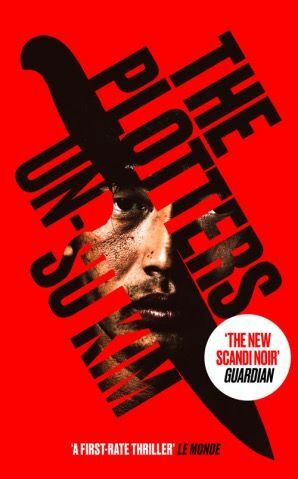 To anyone in the know, it's a hub for Seoul's organised crime, and a place where contract killings are plotted and planned. So it's no surprise that Reseng has grown up to become one of the best hitmen in Seoul. He takes orders from the plotters, carries out his grim duties, and comforts himself afterwards with copious quantities of beer and his two cats, Desk and Lampshade. But after he takes pity on a target and lets her die how she chooses, he finds his every move is being watched. Is he finally about to fall victim to his own game? And why does that new female librarian at the library act so strangely? Is he looking for his enemies in all the wrong places? Could he be at the centre of a plot bigger than anything he's ever known?